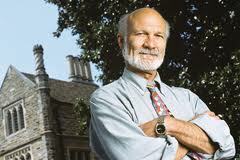 I’m currently reading Stanley Hauerwas’ and William Willimon’s work, Resident Aliens: Life in the Christian Colony. The book was published 23 years ago, so one might argue it’s a bit outdated. But it basically looks at how the church is to engage in culture, especially the church in America engaging in American culture. In the second chapter of this book, Hauerwas and Willimon reflect on some thoughts of Anabaptist-Mennonite theologian, John Howard Yoder. Yoder is most known for his defence of Christian pacifism. In one particular work, Yoder distinguishes between 3 perspectives on church: 1) the activist church, 2) the conversionist church and 3) the confessing church. Yoder argues favourably for the confessing church. The confessing church, like the conversionist church, also calls people to conversion, but it depicts that conversion as a long process of being baptismally engrafted into a new people, an alternative polis, a countercultural social structure called church. It seeks to influence the world by being the church, that is, by being something the world is not and can never be, lacking the gift of faith and vision, which is ours in Christ. The confessing church seeks the visible church, a place, clearly visible to the world, in which people are faithful to their promises, love their enemies, tell the truth, honor the poor, suffer for righteousness and thereby testify to the amazing community-creating power of God. I’m sure we could nuance a few things here, as well as elaborate on a few others. But this has given some hearty things to chew on. In all, I think Hauerwas and Willimon are getting at the ‘bigger’ picture of the church engaging in culture, the socio-political context. Not down into some of the nitty-gritty details. But, overall, I think it is a beautiful sketch of what it means to be the church, the ekklesia, the people of God in our world. Please share your own feedback if you have any. This entry was tagged books, church, culture, politics, quotes. Bookmark the permalink. I almost cried when I read this. I count myself ‘in the line’ of the Anabaptists but these clear words have stirred me deeply. I have been engaging with some Emerging Church writers notably Mclaren (New kind of Christianity) and a number of individuals regarding the ‘gay’ issue and have been utterly shocked at how many younger Evangelicals are prepared to trade off so much to be more acceptable and avoid difficulty and dissonnace with current society. We are the ekklesia not the world a welcome call to faithfulness in our difference not our sameness. With the US elections, I have been thinking more about how the church can faithfully engage in a socio-political context. These thoughts from the book are continuing to challenge how to think about these issues. It’s not easy, even just thinking how to be the church as an act of speaking in the culture. –‘We argue that the political task of Christians is to be the church rather than to transform the world. One reason why it is not enough to say that our first task is to make the world better is that we Christians have no other means of accurately understanding the world and rightly interpreting the world except by way of the church. Big words like “peace” and “justice,” slogans the church adopts under the presumption that, even if people do not know what “Jesus Christ is Lord” means, they will know what peace and justice means, are words awaiting content. The church really does not know what these words mean apart from the life and death of Jesus of Nazareth. After all, Pilate permitted the killing of Jesus in order to secure both peace and justice (Roman style) in Judea. It is Jesus’ story that gives content to our faith, judges any institutional embodiment of our faith, and teaches us to be suspicious of any political slogan that does not need God to make itself credible. The church gives us the interpretive skills, a truthful understanding whereby we first see the world for what it is. People often complain that the political agenda of conservative Christians looks suspiciously like the political agenda of conservative secularists—the Republican party on its knees. And it seems inconceivable that an agency of any mainline, Protestant denomination should espouse some social position unlike that of the most liberal Democrats. I like this. I don’t really grasp all the nuances of the subject, but I like the overall direction it goes. I’ve feel opposed to a church model that attempts to “change the world”. The church nor the government has the capability to “legislate” morality or ethics. Correct morality and ethics comes from a correct worldview, and that cannot be “forced” onto someone, it has to come from within. We can join with the world to help those who suffer due to the incorrect morality or ethics of others, because we can’t help but be involved with that. It’s part of being the feet and hands of Christ and loving “the least of these”. But we don’t do it to CHANGE people. We do it to show people what TRUE change looks like, where it comes from. When the church does what it should be doing, caring for others, no matter how bad their “sin” may be, showing the grace that Christ showed people when he was on earth, then people will SEEK us out to find out our “secret”. It may be a slower and not as “one size fits all” as traditional evangelism, but I think it’s the model God had in mind for the church. We change the world by introducing the world to the love of Christ. They will seek out and find the source of that love and His love in them changes them thus changing the world.